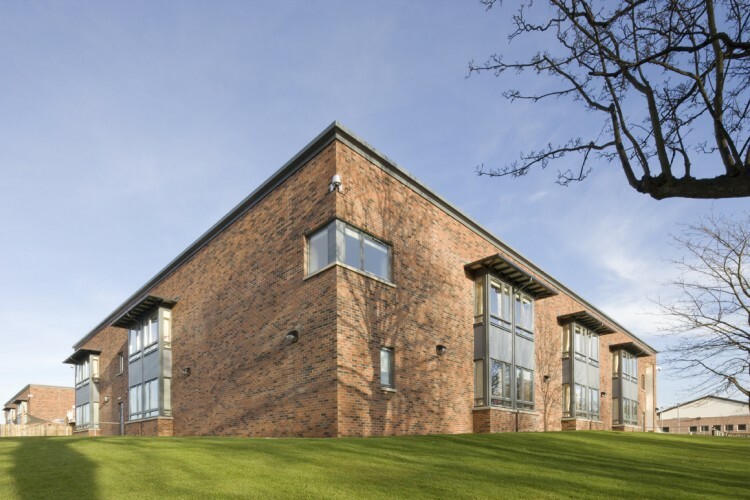 This care home for the City of Edinburgh Council is located in a beautiful parkland setting in Kings Inch. 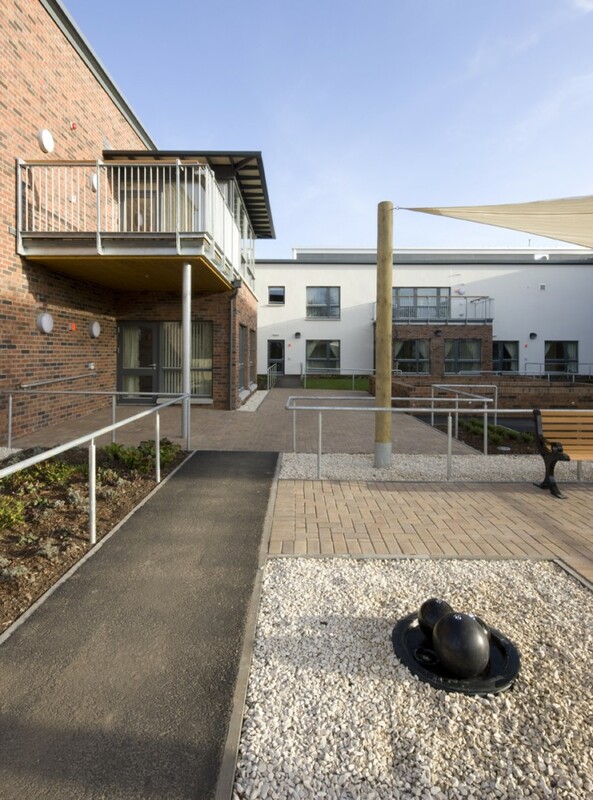 The building accommodates 60 residents in four wings of 15, with each wing arranged around a landscaped courtyard. The courtyards bring light into the circulation areas, giving a feeling of well-being. 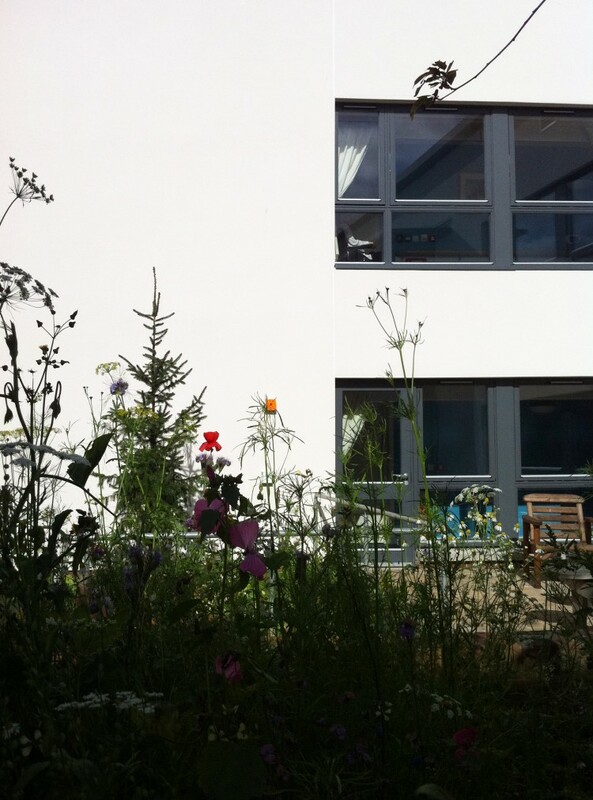 The bedrooms and quiet rooms have long views over the park and its mature landscape and woodland. 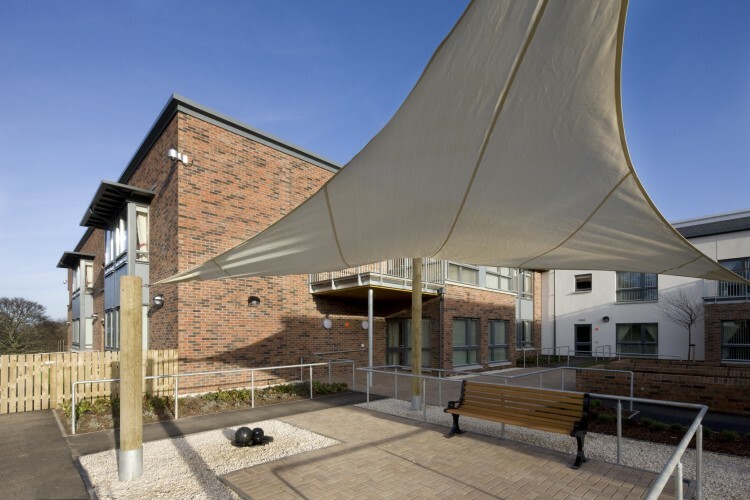 The building is orientated to receive direct sunlight throughout the day, and at the heart of the plan is a safe dementia-friendly garden. Sustainable strategies include enhanced thermal insulation, passive solar, and combined heat and power (CHP). The CHP plant provides heating as a by-product of on-site electricity generation.